On Saturday, February 6, the men's book club will meet at the home of Bob and Adriana Reeves. 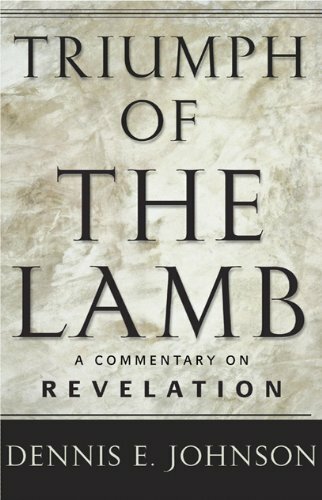 Join us at 6:00 p.m. for dinner, fellowship, and discussion of Dennis Johnson's book Triumph of the Lamb: A Commentary on Revelation (P&R, 2001). For this meeting, we will be discussing chapter 9 (pgs. 177-198). These pages correspond to Rev. 12:1-13:18, so make sure to read those passages as well.